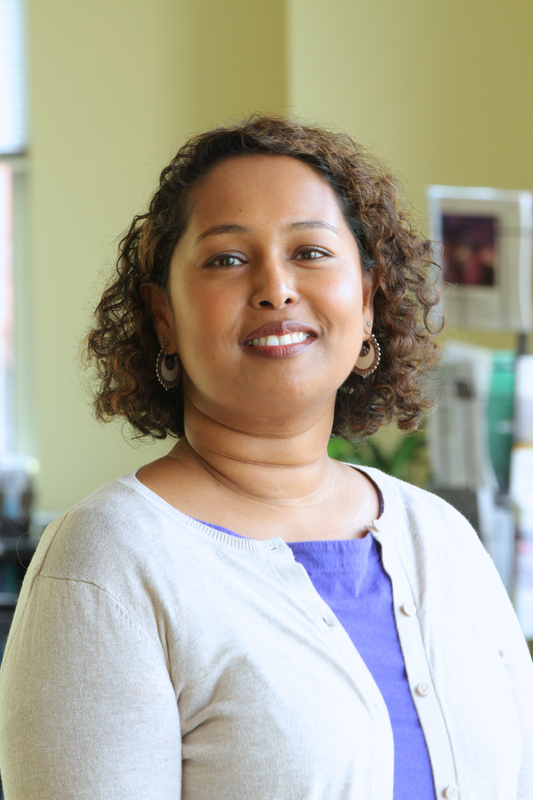 Moushumi is an Associate in the Climate Resilience Practice at the World Resources Institute (WRI). Moushumi works on developing and building capacity to use tools for adaptation decision making. She is currently working on online data sharing platforms to democratize access to climate information. She is also helping the Government of Ethiopia develop specific goals on agriculture and adaptation by using adaptation tools. In her past work at WRI, she worked with the Government of Fiji and Kenya to build readiness to apply to the Green Climate Fund by training on decision making tools. She worked in the Mekong region to capture lessons on implementing adaptation plans that integrate scientific and community understanding of adaptation. Moushumi has also developed a framework to scale up climate change adaptation projects and a framework that links vulnerability assessments to decision making processes. Prior to joining WRI, Moushumi worked with the CGIAR Research Program on Climate Change, Agriculture, and Food Security (CCAFS) while based in Kenya where she focused on gender and climate change, as well as training countries to apply participatory scenario development as a decision-making tool. Before CCAFS, she worked with the United Nations Development Program, Center for International Forestry Research Institute, UN Food and Agriculture Organization, BRAC Bangladesh, and the International Center for Integrated Mountain Development. Moushumi holds a PhD in Development Studies from the University of Sussex in Brighton, England. She has an MS in Natural Resources and Environment from the University of Michigan in Ann Arbor and a BA in Anthropology & Sociology from Smith College in Northampton, Massachusetts. Moushumi is originally from Bangladesh but considers herself a global citizen. She loves to travel and enjoys music from all over the world. La version originale de cet article est disponible en anglais ici. À l'origine, cet article a été publié sur WRI Insights ici. Bamboo isn't native to Malawi, but it could help the country adapt to mosquito outbreaks and other climate change impacts. WRI experts in business and climate resilience discuss how firms around the world are adapting to the megatrend of climate change. WRI recently helped convene a workshop in Fiji to learn about tracking progress towards adaptation goals laid out after Paris. There are a lot of ways for countries and communities to adapt to climate change. Choosing the right one can be tricky. Q&A: How to Involve Kenya’s Local Communities in Adapting to Climate Change? Communities in Kenya face several disparate climate change impacts, from severe droughts in some areas to flooding in others. CARE International Adaptation Planner Phillip Oyoo explains some of the challenges and solutions to building resilience. People in Cambodia, Laos, Vietnam and Thailand are bracing themselves for heat-stressed crops, severe flooding and sea level rise. A new study assesses climate adaptation efforts in five sites across the Lower Mekong Basin. This report helps policy makers, practitioners and funding agencies identify emerging adaptation good practices and the conditions necessary for scaling up those good practices to achieve adaptation success at scale.